Sir, i m from punjab distt moga. I have seen some ad on facebook to cheapest mobile rate. 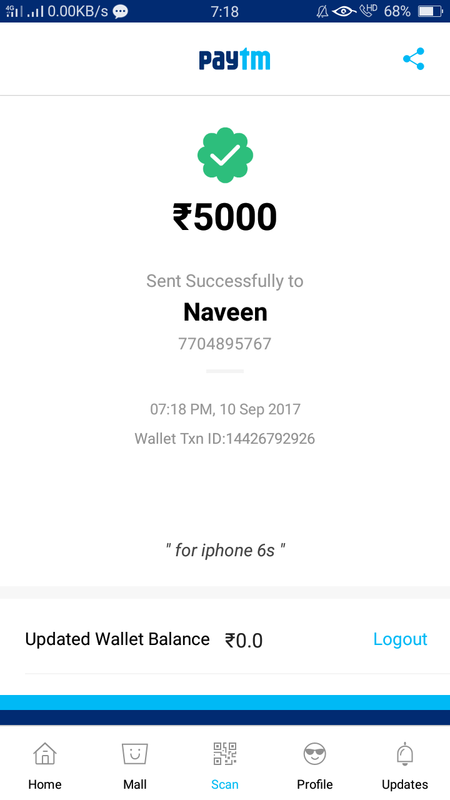 And i will call on those number he is say to me please payment advance on paytm 5000 for apple iphone 6s . I will pay him. Then now he is not reciving my call. His number is 7704895767. I have attach paytm tranction copy.